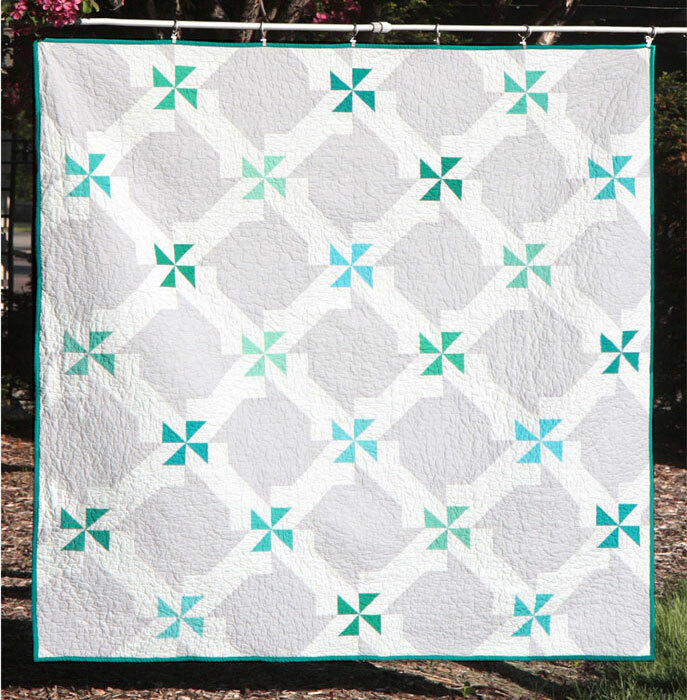 For this quilt I wanted to make a super quiet, calm, pretty quilt using the colors of sea glass, white, and very pale gray. I love how the different blues and greens look together. This is a double-sided quilt. The other side is my Tide Pool pattern.